Whether you are seeing us for cosmetic dental treatment, routine dental care or emergency dental care we believe that you deserve focused attention. We will make every effort to make your dental experience, one that exceeds your expectations and ensure your dental care is tailored to your individual needs. If you are searching for a private dentist in Telford, Stafford, Wolverhampton or Shropshire county please contact our practice for further information. Emergency dental appointments are available daily, late evenings and weekends. We offer a number of General dentistry treatments from simple fillings to more complex treatment such as Implants. If you’re searching for a dentist in Telford or surrounding areas to provide you with routine Dental care then please do not hesitate to contact us on 01952 459459. Our new patient examinations are £65 plus the cost of any x-rays you may require. Once we have done a detailed assessment and you’ve receive the more urgent treatment you require, you then have the option to go on our monthly payment plan which begins from £13.50 a month for an adult. Please view our Practice Plan page for further details. Interest free finance is also available to help spread the cost of simple or complex treatments that you may require. All treatment costs will be discussed and no treatment will be carried out without your prior consent. 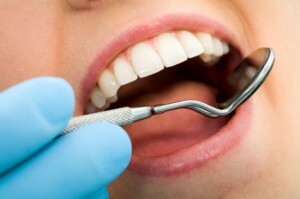 We offer composite and amalgam fillings as well as other materials. As a private dental practice you can be assured that we use the best materials on the market. A crown is a laboratory constructed, artificial restoration which replaces at least three-quarters of the natural crown of the tooth. There are various types, made of various materials, and they require at least 2 appointments. Are very thin shells made from porcelain that are bonded onto the front teeth to improve cosmetic appearance. The removal or extraction of teeth is carried out under local anaesthesia, with or without some form of anxiety control such as sedation. The object of root filling is to remove the inflamed or dead pulp from a tooth and replace it with a sterile non-irritant, insoluble root canal filling that seals off the entire canal and thereby prevents any recurrence of infection. Implants are made from titanium and generally consist of threaded cylinders which are screwed into holes drilled in the bone, then a crown, bridge or denture is placed on top of the implant. We do offer patients, who are not registered at our practice, emergency appointments. We aim to see these patients within a 24 hours depending on our appointment book. Intravenous sedation is where a drug is injected into the patient’s vein, in the hand or arm, in a controlled manner, so that their anxiety is removed and dental treatment can be carried out. Can help to treat a variety of orthodontic concerns including teeth which are crooked, crowded or with gaps – but because it is clear, removable and comfortable, it won’t interfere with your life. Because it’s nearly invisible almost no-one can tell you are wearing Invisalign®. Is one of the safest and conservative forms of Cosmetic dental treatments allowing the natural colour of your teeth to be lightened without removing any tooth surface. Dentures are removable artificial replacements for missing teeth. Dentures are usually made of pink or transparent acrylic with acrylic teeth. We offer an emergency dentist service for non-patients and existing patients. We charge £75, this covers to cost to be seen on the day, x-rays and any antibiotics you may need. We also offer an call out service on bank holidays and over the Christmas and New Year period. Need an emergency dentist in Telford, call today on 01952 459459.